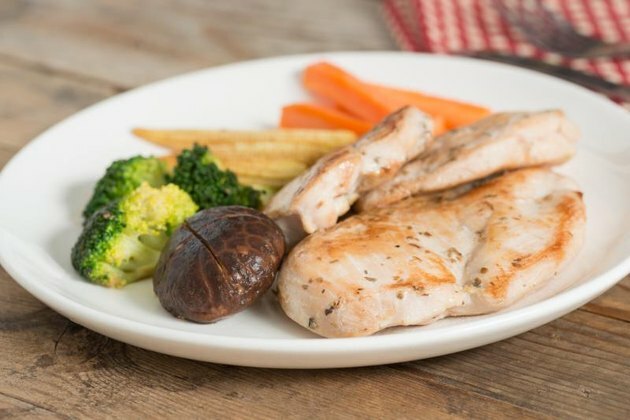 If you think you’ve been staying healthy by choosing lean chicken breast over beef, recent scientific findings might burst your bubble. Turns out that chicken is no longer the lean meat we all thought it was. The Huffington Post reports that genetically manipulated birds have increased by 300 percent since 1960, leading to a bird on your plate with drastically higher fat and less protein content. In other words, boneless, skinless chicken breast is actually a lot less healthy for you than ever before. “The ever-increasing genetic pressure to improve growth rates and breast yields of broiler chickens has led to a high incidence of several abnormalities in breast muscles during the last 20 years,” reports a June 2015 study in World’s Poultry Science Journal. These genetic abnormalities not only bring up a slew of animal rights issues, but they also mean that birds are more likely to have muscular myopathies known as white striping and wooden breast, a condition that is now rampant among birds — Huffington Post reports a shocking 96 percent of all chickens are affected. Meaning unless you are raising your own chickens for consumption, you are almost positively eating chicken with this condition. These muscular conditions are not only bad for the birds, they're bad for us as well. They cause necrotic lesions and fibrosis within the flesh, which leads to fat and collagen developing in the breast instead of muscle, meaning a not-as-good-for-you bird. These conditions affect the quality of the meat so much that there has been a reported 224 percent increase in overall fat content, resulting in an increase from 7 percent fat per 100 grams of breast meat to 22 percent. What does that mean exactly? The percentage of fat content that is in these birds is akin to medium-fat ground beef. Huffington Post reports that there may be an end at the light of the tunnel: Large corporations like Starbucks and Chipotle are starting to commit to partnering with the Humane Society to curb the problem with the help of scientists around the country. That said, the USDA reports there are nearly 9 billion chickens raised every year in the United States alone, so there’s a long road ahead. Do you eat a lot of chicken breast? Do you follow a lean-protein based diet? Would this stop you from eating chicken?